More than 500 Central New York scientists, engineers, and skilled craft laborers have been working with Honeywell to build the infrastructure necessary for lake operations. Protection of the public’s health and safety is an important part of every stage of the work to restore Onondaga Lake. The dredged material is not exposed to the open environment and extensive efforts are being taken to minimize odors. Significant upgrades made by Onondaga County to its municipal wastewater treatment system plus the construction of Honeywell’s underground barrier wall, which prevents contaminated groundwater from reaching the lake, have improved lake water quality to the best it has been in decades. 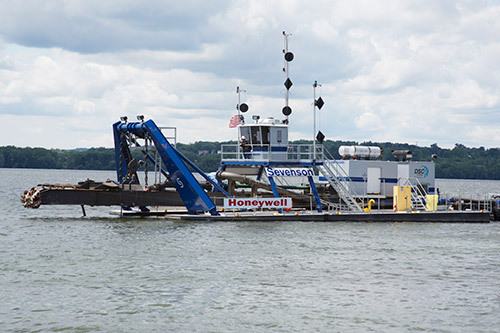 Individuals interested in more information on the Onondaga Lake dredging and capping process should click here or contact Honeywell at 315-552-9784.